Meticulous Maintenance Free Villa in TAMPA BAY GOLF & COUNTRY CLUB with Golf Course and Water views! Tropical landscape welcomes you home with screened front entry inviting in the balmy cross breezes! Once inside Ceramic Tile Foyer... notice the OPEN floorplan with gleaming wood laminate floors, vaulted ceilings, plant shelves and featuring sliding doors to the lanai. Perfect place to relax or entertain in your spacious great room. Kitchen boasts plenty of wood cabinets, breakfast bar accented with pendant lights, eat-in dining area, room for hutch plus center island. Master bedroom is spacious with walk in closet and views of 17th hole! Bath ensuite has shower with convenient seat, vanity area, wood cabinets and dual sinks. Guest bedrooms and bath are tastefully decorated and on separate wing, split from the Master suite for privacy. Screened 2 car garage just off inside laundry room. All appliances stay and furniture is negotiable. RETIRE in STYLE and enjoy the 27 hole golf course, 2 swimming pools, tennis courts, dog parks, card rooms, fitness, billiards, onsite restaurant, pub/grille, ballroom, library with computers, fun onsite entertainment and exciting planned travel excursions! 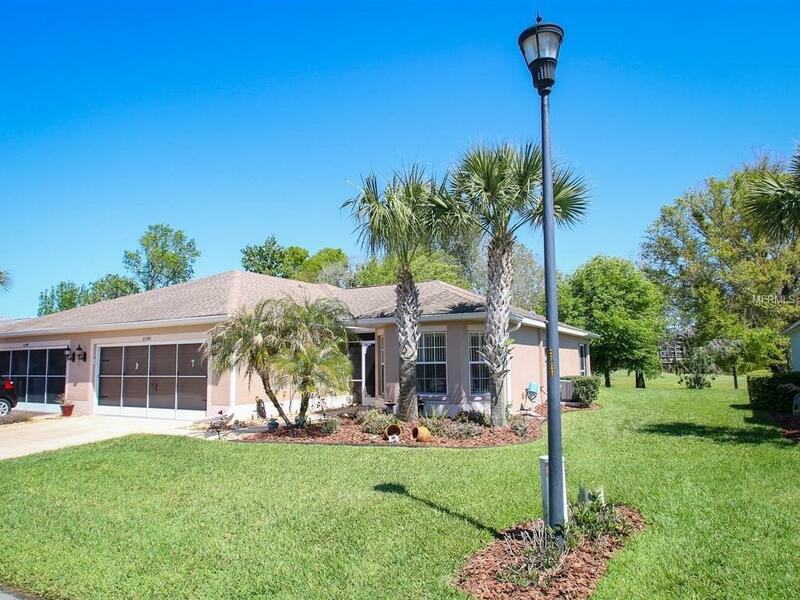 Located in SUNNY Florida... just off I-75 with easy access to Tampa, Orlando, Ocala or the beaches. CALL TODAY! Additional Lease Restrictions Go To Www.Tampabgcc.Com For More information. Pet Restrictions No Aggressive Breeds. Go To Www.Tampabgcc.Com For More information.